Only 5 were built for the track, and 1 for the street. This is that car. 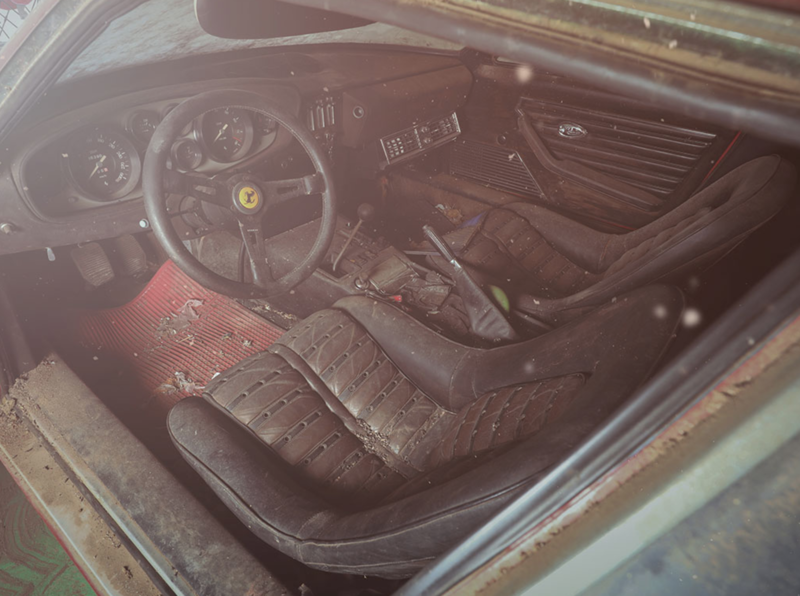 It may not be the prettiest Ferrari ever made (although Princess Diana and James Hunt might disagree), but the 365 GTB/4 is nicknamed the "Daytona" for a reason. These cars dominated the private racing scene in the early 1970s, including notable wins at Le Mans and Daytona. During its 4-year run, over 1200 Ferrari Daytonas were built, but just 5 were officially commissioned for the track, equipped with a lighter aluminum-alloy body. Unbeknownst to most Ferrari aficionados, the company built an extra of these racing 365s, the only street-legal one in existence. The fabled road-worthy 1969 Daytona race car has flown under the radar, hidden away in storage until now. 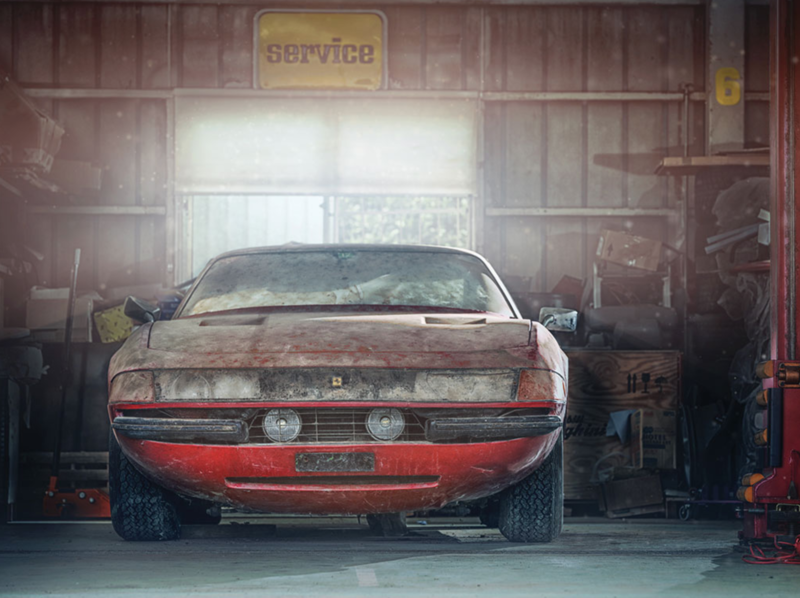 This 1969 Ferrari 365 GTB/4 Daytona Berlinetta Alloy by Scaglietti may be in "barn find" condition, but it's going to auction starting at $1.7 million on September 9th at RM Sotheby's. 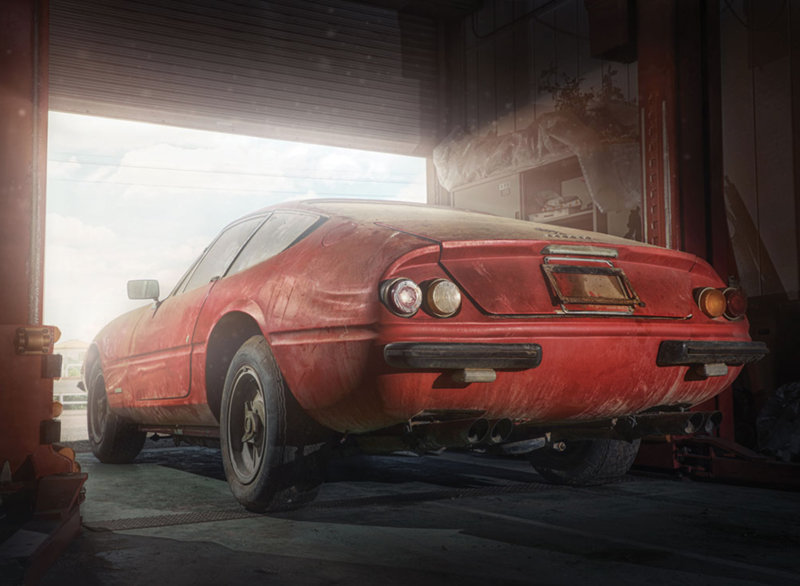 The singular street-legal Daytona racer featured a Rosso Chiaro (red) paint job and Nero (black) leather interior. It was optioned with power windows and plexiglas headlights to complement its rare aluminum body. The 1-of-1 Daytona had three owners in Italy alone before shipping to Japan in 1971. It also passed between three owners there and headlined an issue of Car Graphic before its last owner stowed it away in what looks like a dusty garage, where it slumbered for over 40 years. 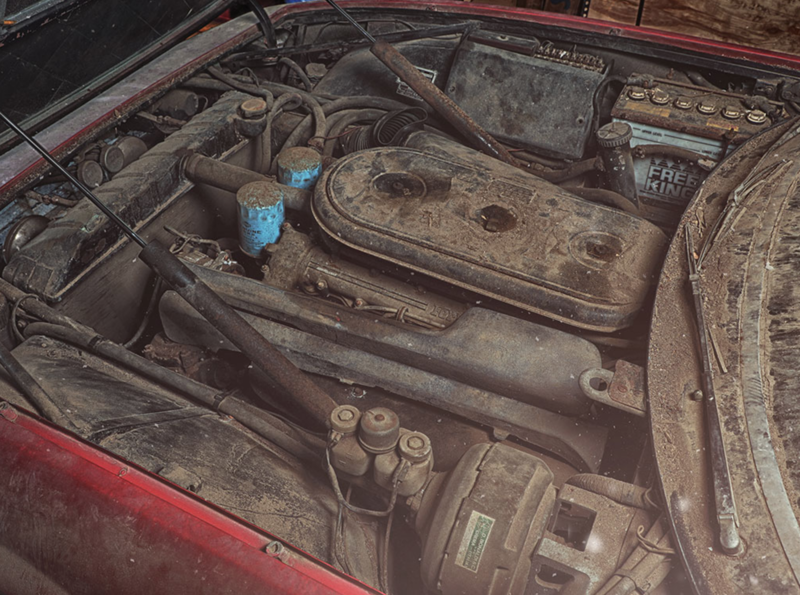 This example endured an expert inspection by Marcel Massini in June, who decreed that the car has matching numbers and is in good condition despite its prolonged storage and light visual modifications. 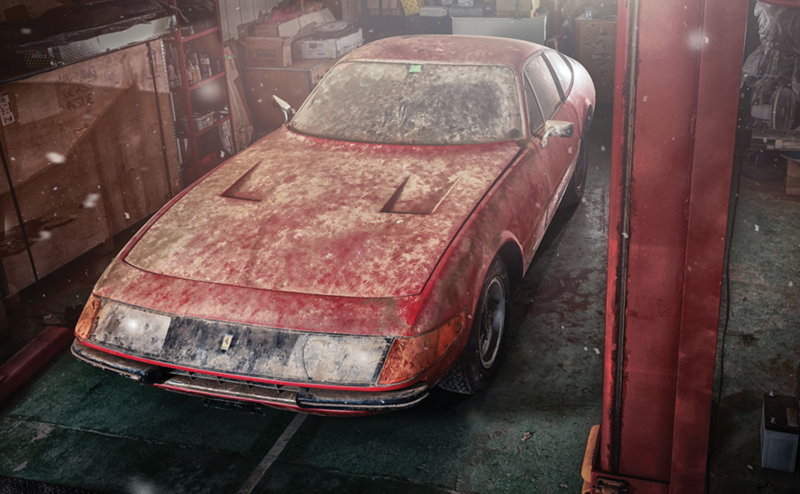 The odometer reads 36,390 kilometers, meaning that this insanely rare Daytona was actually driven; 4 decades in storage doesn't seem that bad anymore. The only problem is it's not a V-12. This hot rod is a mess of things that normally shouldn't go together. Two classic Ferraris were boosted last week in a cinema-worthy heist. Now, both have turned up… in ashes.